Another season and another Digital Hollywood ended yesterday and is officially in the books. While there were a couple of recurring themes – social, Netflix, Big Data, social and social – one of the larger “Eureka” moments was the clarity on the idea that debates on privacy and social or browsing are somewhat irrelevant. It is pretty much a foregone conclusion that conversation will come to Privacy when discussing Big Data and the growing opportunity to gain insights from the many bits of data collected on every one of us. One stat bandied about was that most adults already have amassed 2-3 Terra-bytes of data and will continue to drive 1TB for every year forward. When you think about that on its own – along with the omnipresence of tracking-enabled products from entities such as Google, Microsoft and others – there is more than enough reason for people to have a growing concern. But, when you get down to the nuts and bolts of it, those concerns of relevant to the invasion of personal privacy might not be what they seem. – and what should be done to protect ourselves. Before getting into details, the company line across the board is that security of data is of the utmost importance. But, as we’ve seen, that accounts for little to those who really want to breach security – just ask the US Veteran’s Administration, credit card providers and, just last week, Living Social (whose data was breached to the tune of 50K users’ information.) In all of these examples, None of these examples are tied specifically to social activity, or browsing history, or targeted advertising. When the politicians or privacy experts start railing against privacy in big data for use in targeted media, remember that. Those TB of data per person mentioned above is a LOT to parse through on an individual basis. It’s effectively counterproductive to draw up pictures of individuals for targeted media as it’s too much work to get to the numbers you need for an effective campaign. In the case of Big Data, the data packs need to be broader in order to be effective. Could some government look to use the specific data for nefarious or “1984-ian” means? Sure. But remember, credit card companies have effectively had more telling data on us over the past 40 years. When you poll most people about their use of the web and mobile, the majority will say they are sick of ads that have no relevance to them. As those data packs come into play for more targeted media plans, people will receive content and advertising that is more aligned with their interests. As long as that placement is not uncomfortable or “Big Brother” like, most people will find those well targeted pieces beneficial and the content distributors/advertisers will appreciate their optimized impressions. The general perception of the older generation about the younger one is that of disbelief about what people are sharing about themselves. A simplified perspective on the difference in generations is found when looking at mobile; the Brick phone (Motorola DynaTAC 8000X) was introduced 30 years ago and mobile phones that were cheap enough and small enough to sort-of fit in pockets were introduced 20 years ago. 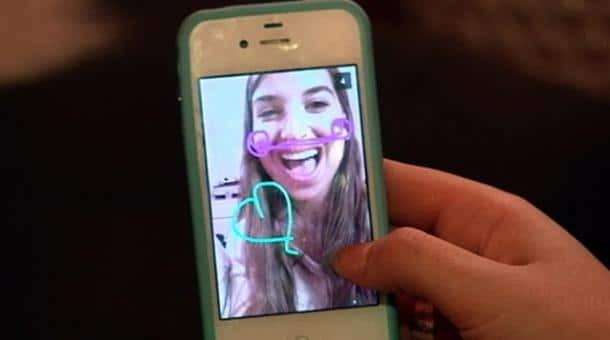 Those who are in college or just graduating high school have never been bound to their homes in order to communicate with others who were far away. That difference is just one of many leading to a completely different consideration of privacy. In fact, ever since any one of us got our first mobile phone (or credit card, for that matter), we should have been concerned about privacy for that matter. Which brings us to the second part of this element and leads to the next one. What do we care to share and what don’t we? The beauty is that each platform provides the choice of participation and security settings. The sad part is that some make it harder to refine security settings than others. It comes down to personal consideration of how much benefit one can derive from the information they are sharing. And, looking into the future, everyone needs to consider what they can stand to have on on the internet in perpetuity. Just as we wouldn’t step into the street without looking both ways, we shouldn’t be interacting via digital platforms without recognizing where we’re going. And, just as we can’t decide not to cross the street just to alleviate risk, we can’t disconnect from all devices and still hope to remain connected and vibrant. Marketplace Tech from American Public Media ran a segment this morning that illustrated exactly what we can learn from the younger generation (listen to the audio as it is not in the text.) While most of Jeremy Hobson’s interview with New Jersey high school students focus on the platforms they use and why, they do end with suggestions for “their parents.” Those suggestions convey exactly how this younger generation understands exactly what the long-term effects of sharing and data are. That request is that parents need to consider what images they post of their kids as there could be nothing more mortifying than seeing images of yourself as a child on a beach popping up when you are 17. In the end, the concerns about privacy in the era of Big Data are effectively moot as that ship has already sailed. As systems and algorithms are refined, people (or users) will find content served up to them where they will consider seeing irrelevant content to be as annoying as being tied to the home phone or digging around for coins to feed the payphone. All through time, the conveyance of personal information has been a personal decision. Those who want to be more secretive work hard to do so. Those who don’t care, don’t. The only thing that has really changed might be what people consider to be truly personal information and how that information is used. In the past, we didn’t have the bandwidth to parse that information to target at scale. Now we do. There are certain sensitivities we have to be conscious of, but as the interview with the high school students shows, those concerns about data privacy are becoming less and less relevant.